What is a black conservative, and why would anyone choose to be one? wonders Professor Christopher Bracey, an African American liberal Democrat. In 1972, fewer than 10 percent of African Americans identified as conservative; today nearly 30 percent do. 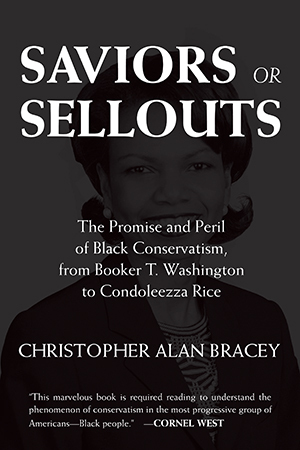 Bracey traces black conservatism’s long tradition in this original book, bringing us to the present by examining black neoconservatives like Shelby Steele and John McWhorter and political conservatives Clarence Thomas and Condoleezza Rice. With a revealing analysis of the infotainment effect of Bill Cosby, Chris Rock, and others, Bracey analyzes the tradeoffs made by conservatives-many of which raise serious questions about whether today’s conservatives are effectively protecting blacks’ interests.